Established in 2018, Spin Up is a new breed of real money casinos online offering supreme service and a brilliant selection of casino games all under one virtual roof. Owned and operated by Alpha Interactive Solutions N.V. 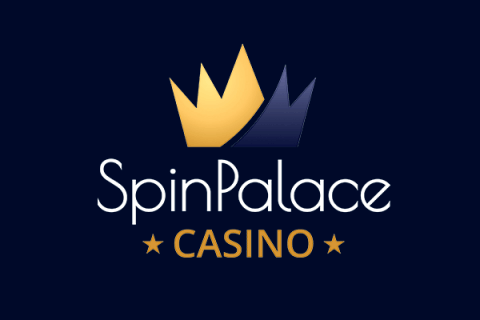 Spin Up Casino is also a Bitcoin approved brand. With a plethora of casino games produced by NetEnt, Play N’ Go, and BetSoft, you can’t go wrong. A licence issued by the Government of Curaçao will ensure fairness and total security of financial transactions. Spin Up Casino offers plenty of themed promotions and a generous welcome bonus. You can play all types of games from slots to video poker, with a live casino and table games too. 2nd Deposit 200% up to €1000 + 50 Free Spins. Whether you deposit high, or low, you still get 3 times your deposited amount. The 100 free spins provide a springboard to launch you on your way to winning a payout prize. Your second deposit gains a 200% match up bonus to €1000 along with another 50 free spins on any Betsoft games. So, all in all, you get up to €2,000 and 150 free spins for signing up at Spin Up Casino. You can’t miss this exceptional offer once you check out the website. It is proclaimed with a massive banner at the top of the landing page. Spin Up Casino has developed a great VIP program. You earn comp points whenever you play, with 1 point for every €10 staked at the starting level. There are four VIP club levels, the Silver, Gold, Platinum, and Black. Each subsequent tier brings improved benefits like access to first class customer service, exclusive promotions, birthday and anniversary bonuses, higher deposit limits, higher withdrawal limits and faster cash out times and loads of other rewarding perks. The first thing you notice about Spin Up Casino is the number of slots to spin and casino games to play. 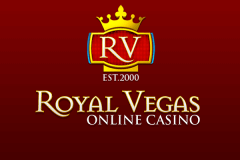 You will find renowned brands like NetEnt and Play’N Go serving up all sorts of slot games. The list of game suppliers include NetEnt, Evolution Gaming, Betsoft, NextGen, Play ‘n Go, Fugaso and lot’s of other popular gaming software developers. Spin Up has a fantastic live dealer casino presented in an immersive and elegant gaming environment, and there is a healthy collection of standard table games and video poker as well. They can be filtered easily according to your preference. The home page is full of all relevant neatly organised, game options which makes finding a game more accessible. The slot collection includes a good number of traditional 3-reel slot machines with classic fruits, bells and bars symbols capturing the original slot experience. The 5-reel video slots are more elaborate and have multiple pay lines, and plenty of special features centred around the Wild and Scatter symbols which activate bonus games and free spins. Table games are available in free play mode, and you have a wide choice of games with different table limits. You can pit your skills against the dealer playing poker, roulette, blackjack, baccarat and many others. Since there are several software providers, the number of table games and their variety are assured. There are video poker games and Keno. You can also use the Micro Bet option playing your favourite table games. The superb interactive gameplay is filmed with multiple cameras and streamed live to your PC or mobile device. You can use the unique chat function to communicate with the pretty dealer in real time and players can chat in-game. Are you up to the challenge of beating the dealer at the live casino lounge? Spin Up Casino has a well-structured smartphone casino which you can download to your tablet or smartphone. There is a native app available to download for free, and all the games have been optimized for flawless mobile gaming. Alternatively, you can access the mobile casino in the browser of your Apple, Samsung or Android mobile device. There are many banking options to fund your online account including Skrill, Neteller, a bank wire transfer, and major credit cards. New Zealand players would be glad to find out that Spin Up is a safe POLi casino. EWallets have fast processing times, withdrawals are quicker, and the processing fees are lower too. You can also use Bitcoin, and Paysafecard, so the choice is pretty comprehensive. Spin Up Casino provides lots of options covering all boundaries including NZ, Great Britain, Sweden, Finland, Germany, and Canada. Customer support matches the high standards at Spin Up Casino. You can use instant live chat, a contact form, email or telephone. The interface is clear with help or support links showing all the options to get in touch in the fastest way possible. Support service is available in English, German, and Spanish along with 10 other languages. Spin Up Casino measures up well with the competition, even offering better bonuses than most. It is an excellent choice for players looking for class and quality casino games. Trying out Spin Up could lead to spinning your way to a winning payout. So why not spin those reels of destiny!